The Publishing House of the NBU develops its profile in the sphere of research and theoretical literature – collections, year books, monographs; teaching aids – textbooks, dictionaries, miscellanies, tests; album editions de luxe; advertising and information materials – posters, flyers, brochures, folders, leaflets, catalogues, annual report, manuals; periodicals – magazines and newspapers. 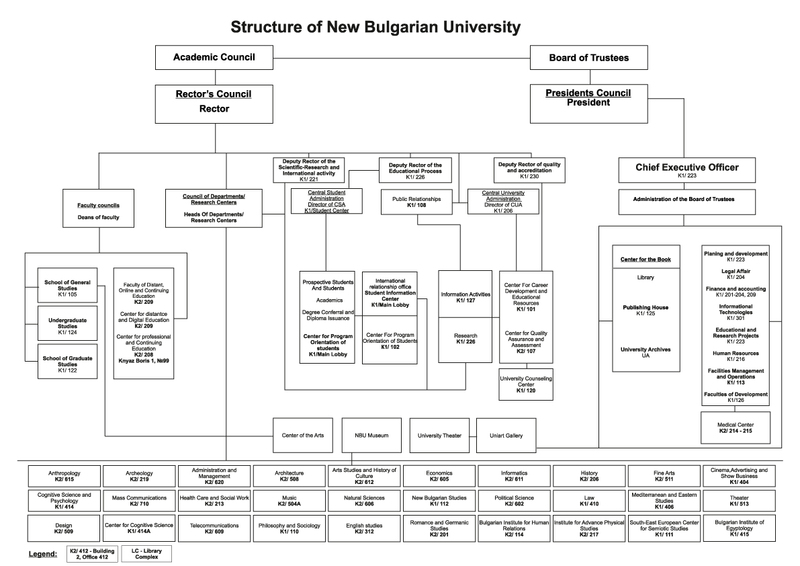 The publications of the New Bulgarian University cover the fields underlying the academic profile of the University. The first Catalogue of the publications of the New Bulgarian University is an jubilee edition dedicated to the tenth anniversary of the University and encompasses all publications from the very first book that was published an year after the establishment of the University in 1991 to 2001 prints. By now, the complete collection of all items published by the NBU is organized in four catalogues. The average statistics shows that a new book is being published in the NBU every third day. The University has established partnership relations with many foreign publishers, including PUF from France, Gallimard from France, Prentice Hall from the USA, Pearson Education from the USA, McGraw Publishing Company, etc. The Publishing House of the NBU was nominated for the Hristo G. Danov award in the category ‘The Art of Book’ in 2005; it was the winner of the Special award of the Bulgarian Publishers’ Union in 2004; University books have come out on top seven times in the ratings of Bulgarian media for best editions judged by the best Bulgarian critics and cultural journalists. Choose the Publishing House of the New Bulgarian University – here you can buy a useful book or print your books and advertising materials.